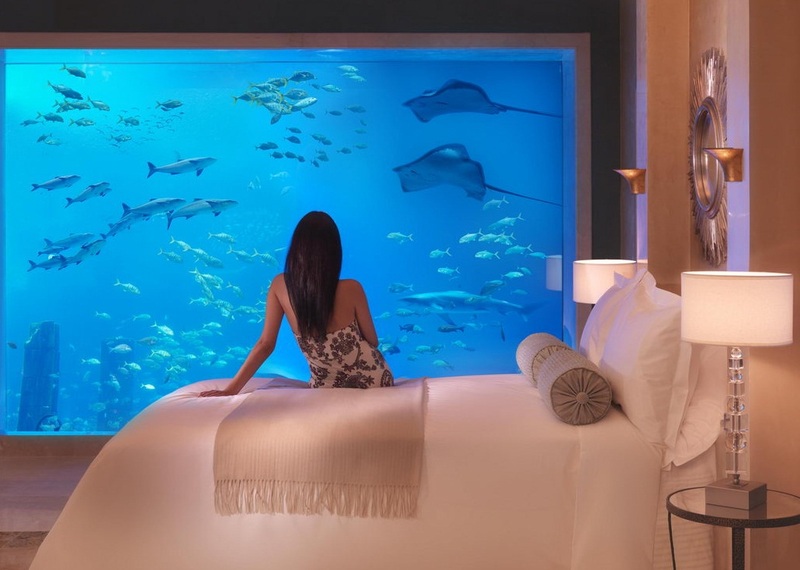 Surrounded by a depth of 12 feet along one of the islands of Fiji , washed by a crystal clear turquoise lagoon has an area of 20 square kilometers. 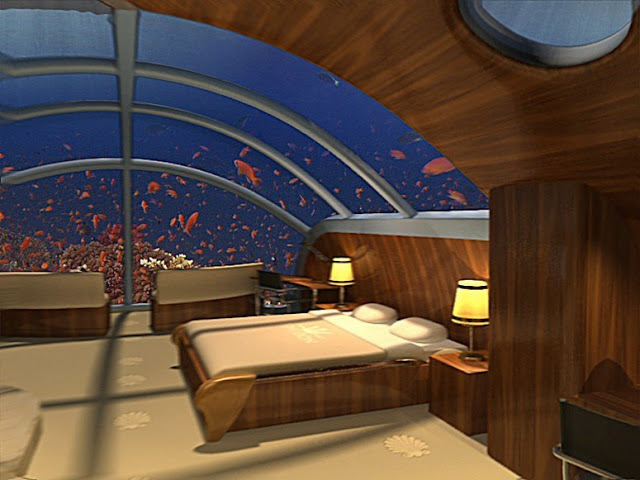 Poseidon is the only place in the world where guests can spend the night in an unique underwater hotel estimated of seven stars service now. The Poseidon Resort is not the first with such a structure. The first underwater housing was built under the Conshelf II project by Jacques Cousteau in 1962. Then 70 submarines premises designed mainly for a short-lived research were built . 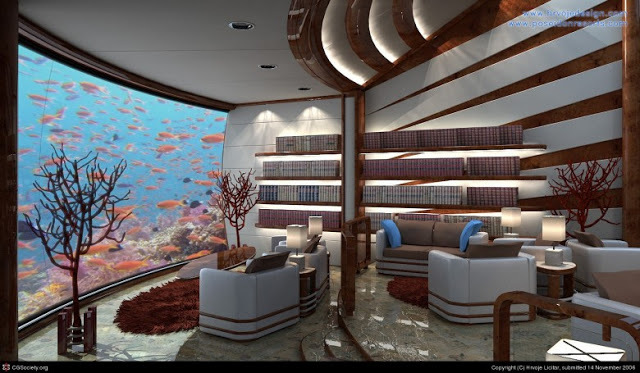 Now there are only two of them, and both in Florida: the U.S. Aquarius - a private research center located at a depth of 15 meters and Jules Undersea Lodge a quite successful underwater motel. 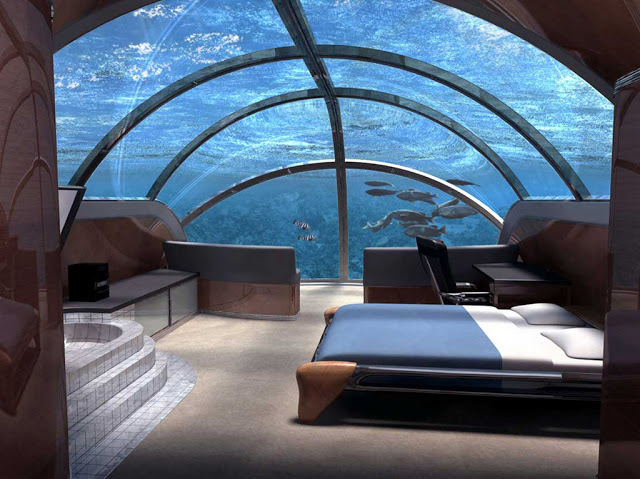 Poseidon ( after the name of the god of the sea) is a hotel designed by Bruce Jones – the President of Submarines, the U.S.A. who spent much of his career designing submarines for the rich people. 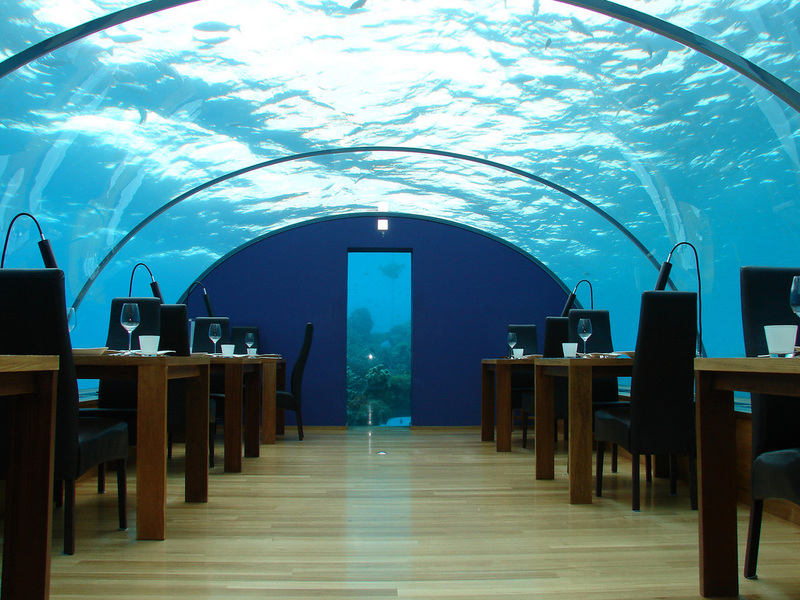 The Poseidon Hotel is close to Fiji, 12 m under water and it has 22 rooms of 51 square meters each. 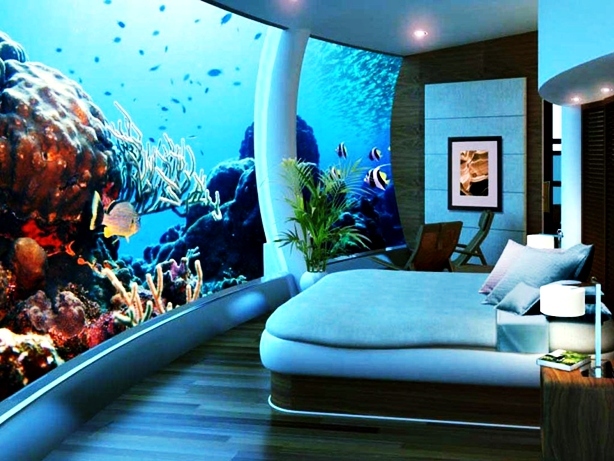 Each room will have a 270 degree view of the ocean. 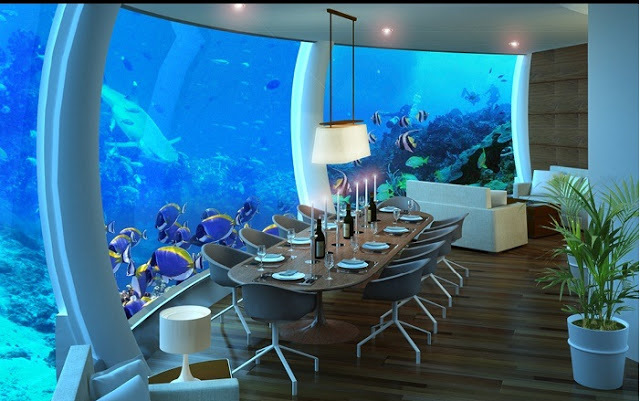 The Poseidon Underwater Resort will offer tourists possibilities to steer the submarine and to make excursions among the coral reefs and practice different sports. 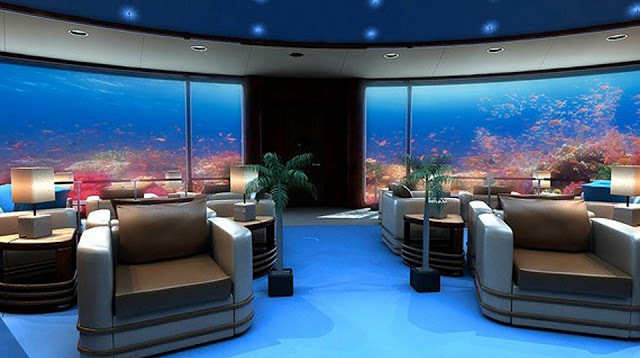 A room will be $ 15,000 per night, the price includes a private jet transportation from the airport in Fiji. The estimated cost of the project: $ 105,000,000.